Sanding, like paint scraping, is prep work; tedious, mostly monotonous, prep work. Nobody is that keen to do it, but it must be done if you want an outcome that is worth the effort. A smooth sanded surface, be it wood or plaster, always looks better, no matter what you do to it afterwards. ALWAYS. A proper sanding job should not show when the finish is applied. That means the strokes should be done in many different directions…hence the creation of the random orbital sander. 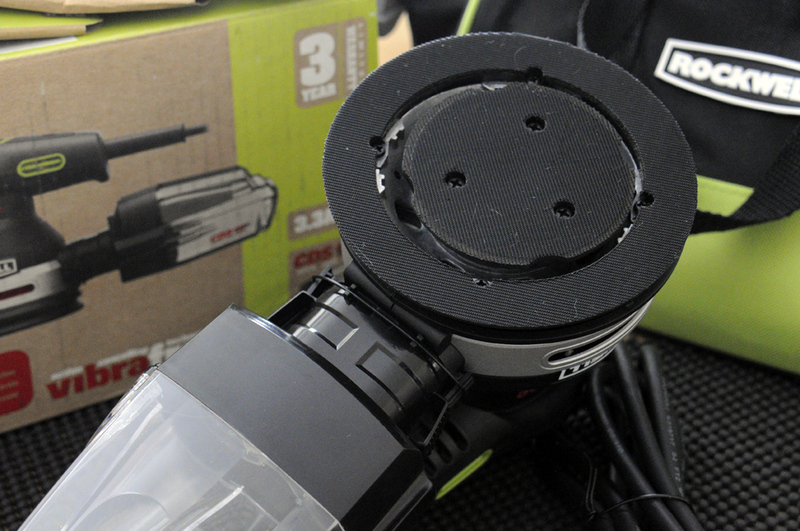 There are many companies that make a decent orbital sander for the “finishing” step of a woodworking project. All of them take a similar approach, and differ mostly in power, quality of the parts, and a few small tweaks. We have not seen anything new in this product category for a long time, until this Rockwell unit showed up at the RainyDay office. 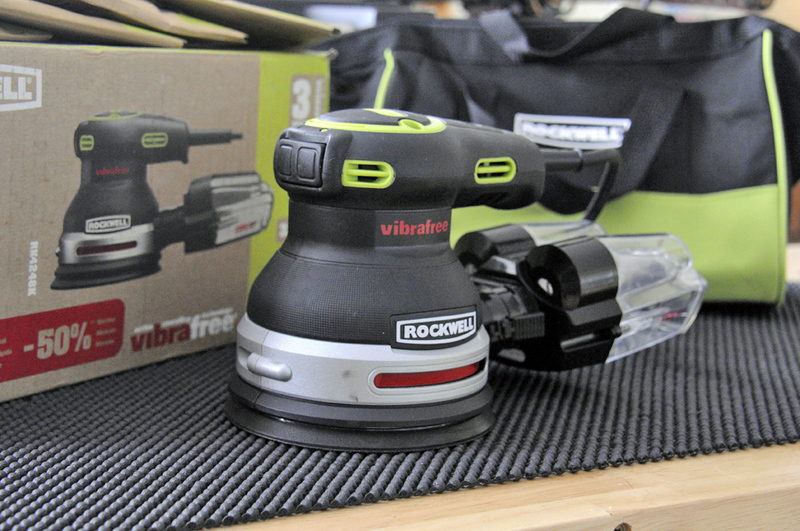 One look at it and we knew this orbital sander was different. The sanding pad looked different. The sanding discs looked different. And the dust collector looked different. The sanding pad looks different because there are actually two separate sanding sections: an outer ring and an inner disc. 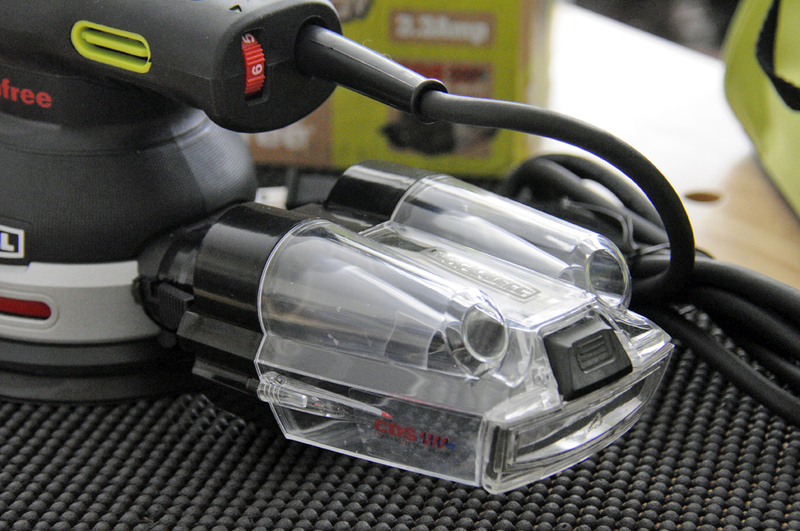 This arrangement allows helps cancel out a lot of the vibration created by the sanding motion. Rockwell calls it VibraFree. While not a 100% cancellation, they do claim a 50% reduction. That is an impressive claim and we can’t wait to fire it up to see for ourselves. The two sanding discs must fit on the separate sanding sections. 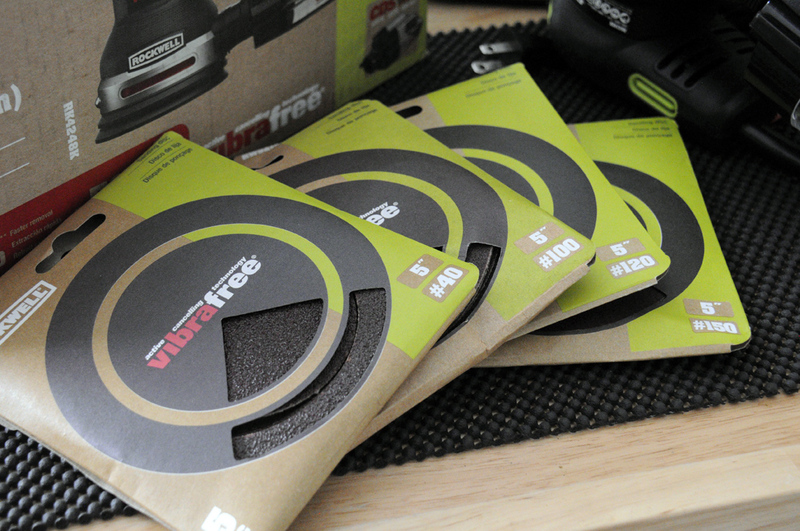 The VibraFree discs come in a lot of different grits (40, 60, 80, 100, 120, 150, 180, 220) and 5 to a pack. The dust collector uses a new cyclonic dust/air separation technique which removes up to 50% more dust compared to the standard cloth bag used by the other sanders. 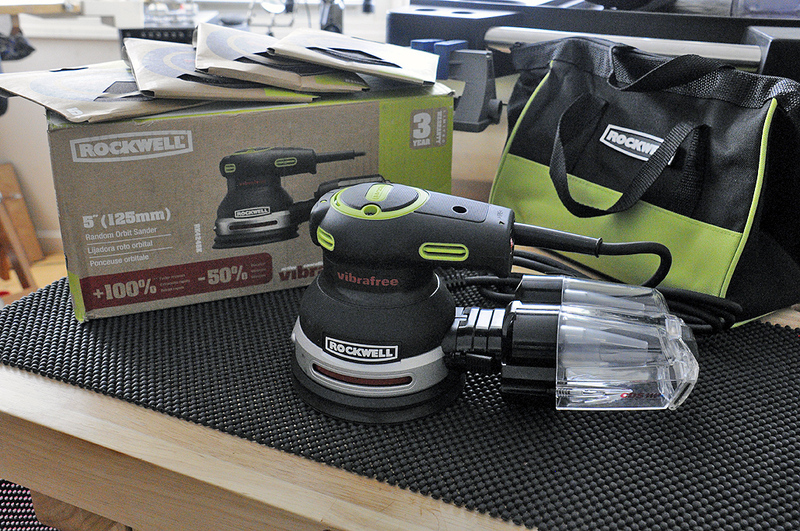 We have a few RainyDayProjects which will put this Rockwell to the test on all of its claims. We won’t get to them until after we are done with the annual Holiday Gift Guide, but we can hardly wait!! !